A lazy eye is also known as amblyopia. It occurs when one eye is weaker than the other. In many cases, the lazy eye will wander inward or outward. This is a condition that starts during the first year of the childs life. If the condition is diagnosed and treated early, the long term visual outcome is often times dramatically improved. Our eye doctors at Arena Eye Care Optometry in Sacramento, CA, can perform an eye examination to determine if you or your child(ren) have or are at risk of lazy eye. What are the Signs and Symptoms of Lazy Eye? Muscle imbalance: This condition is also known as strabismus, and it is the most common cause of a lazy eye. The imbalance can cause your child's eyes to cross in or out. This can make it difficult for the eyes to work together properly. Refractive Anisometropia: This occurs when there is a significant difference in the prescription in each eye. Deprivation: This occurs when there is an underlying medical issue with the eye. Who Is At Risk For a Lazy Eye? There are a few factors that can put your child at greater risk of developing lazy eye. How Is a Lazy Eye Diagnosed? 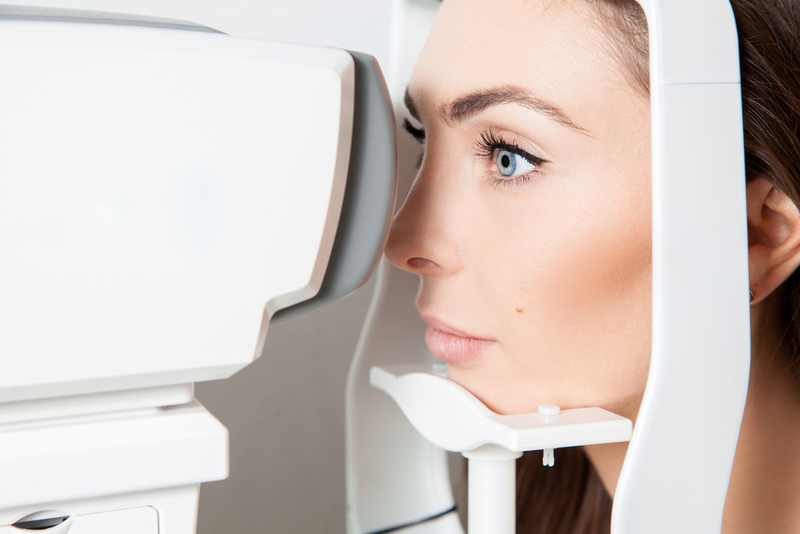 A lazy eye can be detected during an comprehensive eye exam. If your optometrist suspects a lazy eye, they will use several tests to determine how well the eyes work together. Eyeglasses to help your child to see correctly. An eye patch can be worn on the stronger eye, forcing the weak eye to work harder. Bangerter filter: This is a filter that is put on your child's eyeglasses, and it will blur the stronger eye. It works the same way that an eye patch does. Eye drops: Eye drops can be used to blur the vision in the stronger eye, causing the weaker eye to work harder. Surgery: In severe cases, surgery may be necessary to repair the eye muscles. If you suspect that your child has a lazy eye, you should schedule an appointment with Area Eye Care Optometry in Sacramento. Please remember children often times accept the way life is or cannot explain what they experience so you should not rely on them mentioning it to you. Dr. Krister L. Holmberg or Dr. Shephali Patel will examine your child's eyes and should it be indicated prescribe the appropriate lazy eye treatment. Treatment is essential in protecting your child's vision in the future. You can call us at 916-419-8167 to schedule an appointment today!